The time is now for young film makers to give wings to their thoughts and place them in front of the audience over the large screen. A young lady did exactly the same by following her dream and vision and directed a film of the Parsi Community which is slowly moving towards extinction. 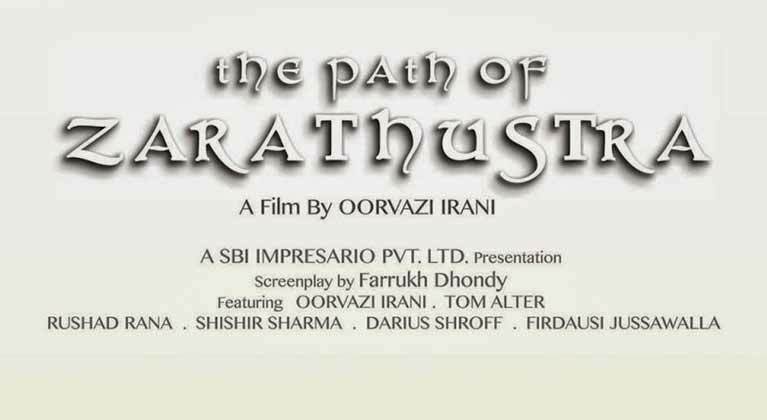 In the film, The Path of Zarathustra, the director and lead actor, Oorvazi Irani talks about the journey of searching for the Almighty through the lenses where the journey eventually leads towards finding her love. It is said that there is no belief without believers. A young woman, Oorvazi, is on the search of the roots of Zoroastrianism, the religion of her forefathers. She leaves the home of her grandfather after the demise for the search of her roots. With a mysterious book to accompany her she lands in Mumbai to her Massi’s (Aunt) place. The story floats through a fine blend of storytelling merged with astute acting to tell us about the decreasing number of Parsis left in the world and why they fled the oppressive regime in the natives of Iran to seek refuge in India. Oorvazi comes across figures from historical past to lead her to a well guided direction and an answer to the mystery of the book. This mystery of the book is slowly and steadily revealed through some fact findings and asking questions to oneself. Though there is high philosophical stuff in between, the film manages to invoke a right chord among the Parsi community with an overall message that there is no looking beyond Love. The film is a pictorial spectacle, with a special mention to the camera person who has captured some beautiful and enthralling pictures that goes well with the plot. The acting from all the actors is as per the requirements of the film, strong and subtle in their own ways, delivering the dialogues with finesse of an experienced craftsman. Though there are long pauses in between the dialogues, but that is perfectly fine when you have a story which asks questions to gets answers. 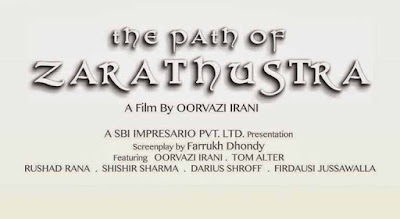 The film’s main aim is to highlight that the Parsi community is slowly moving towards extinction with around 80,000 Parsis left by suggesting a suitable solution for this problem and to increase the number of Parsis living. Overall – It is a must see film for all the Parsis residing in any corner of the world and asks to put Love ahead everything else to see the number of Parsis on the rise again.